Place lemon juice, sugar, coconut water, and water into a pitcher and shake or stir vigorously until all the sugar is dissolved. I prefer to shake because it aerates the lemonade and makes a nice head on top. Pour 1/2 of the lavender syrup into the pitcher and stir. 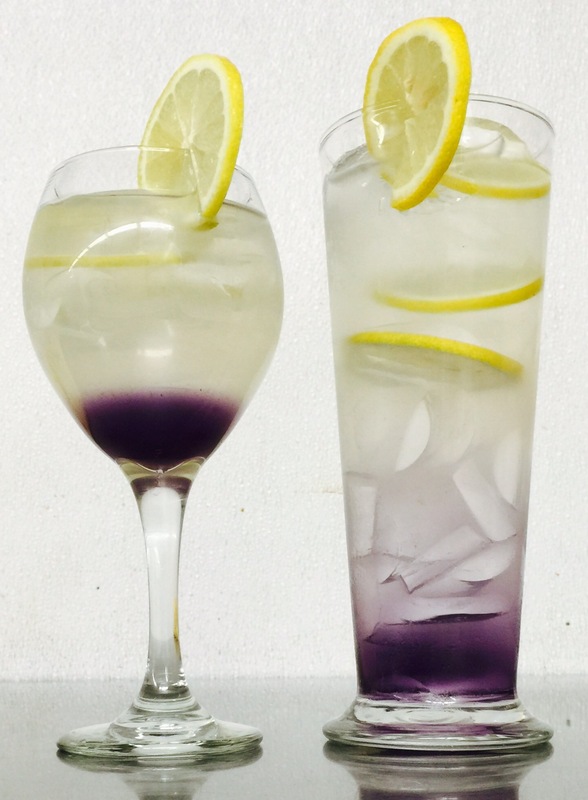 You can add more or less lavender syrup to your personal taste. I personally find that 1/2 of the lavender syrup recipe is a good balance. Combine the sugar, water, and lavender in a medium, heavy bottomed saucepan. Bring to a boil on high heat, and boil for 1 minute. Remove from the heat, cover, and let the lavender steep in the syrup for 20 minutes. Strain through a fine mesh sieve to remove the lavender, add the food coloring (food coloring is optional and is just used for presentation purposes). Set syrup aside to cool. Once cooled, place in an airtight container and refrigerate for up to 1 week.